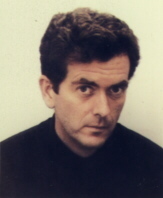 Tom Quinn is an Irish writer living in Dublin. His lively, lyrical style is quite unique. His stories are rich with character and incident. Quinn’s stories will introduce you to the labyrinthine underworld of modern Ireland, an Ireland rarely seen in Irish writing. Quinn’s work has featured in STET: The Irish Literary Newspaper, Passages (Belfast), The London Irish News. Several of his stories have been published in Ragtime, Norway’s only bilingual arts magazine.